This music comes from four sources; The Gow Collection of Scottish Dance Music, O’Neill’s Music of Ireland, The Playford Dance Master, and The Collected Lute Songs of John Dowland. The first three collections make up the Bible for British Isles fiddlers, the Dowland is a jewel in the crown of Elizabethan music and one of the high points of Renaissance repertoire. 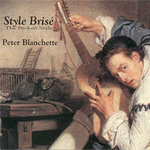 As arranger, Peter Blanchette decided to compose 18th century style counterpoints to these enigmatic airs and dances, rather than the “contemporary folk music” accompaniments they more commonly receive, after studying the copious Scottish collection of Neil Gow and “O’Neill’s Music of Ireland” for a year. 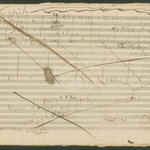 The recording presents the pieces in small suites. The brevity of the compositions certainly suggests this sensible programming approach, though it’s difficult to determine if that is indeed how this music was originally performed.This CD is inspired by an imaginary, musical, "meeting of the minds." One might think of it as a collaboration between Elizabethan court musicians, Scots fiddlers and Irish pipers. The small suites often include a bit from each source, as in track #1, where the first section is the Scots fiddle tune Lady Hamilton Dalrymple, the middle, transitional section, a fiddle or piper's tune from O'Neill's, and the last section a rollicking version of Dowland's showstopping Lord Chamberlaine's Galliard... originally played by two performers on one lute! 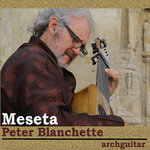 Peter Blanchette plays the plucked instruments on Music from the British Isles; primarily the 11-string archguitar, along with his bass dombra, steel string guitar, banjo, and whatever else he could procure. Violinist Kenny Butler tuned his instrument a half-step lower and strung it exclusively with gut, employing delightful aspects of baroque playing styles. 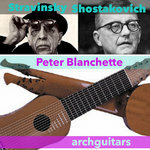 The result is a warmer sound that blends especially well with the archguitar. The album is inspired by an imaginary, musical, "meeting of the minds." One might think of it as a collaboration between Elizabethan court musicians, Scots fiddlers and Irish pipers. 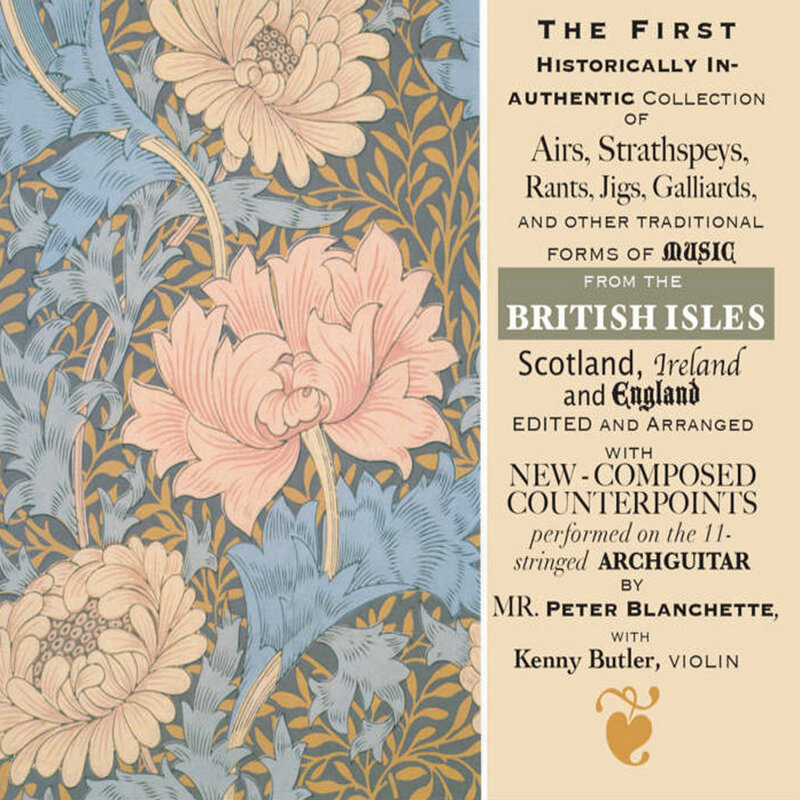 The small suites often include a bit from each source, as in track #1, where the first section is the Scots fiddle tune Lady Hamilton Dalrymple, the middle, transitional section, a fiddle or piper's tune from O'Neill's, and the last section a rollicking version of Dowland's showstopping Lord Chamberlaine's Galliard... originally played by two performers on one lute!